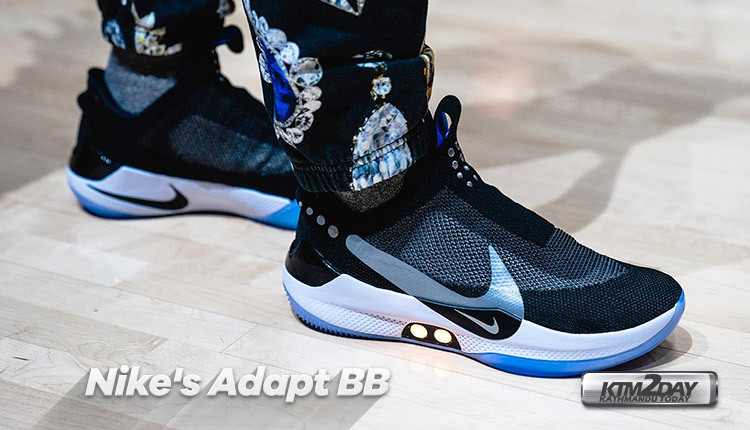 On Tuesday Nike unveiled the Adapt BB, the first-ever widely produced basketball shoe that incorporates the self-lacing technology originally imagined in the “Back to the Future” movie franchise. Instead of Marty McFly, Nike had Boston Celtic Jayson Tatum unveil the shoe, which Nike claims is durable enough to use on-court. 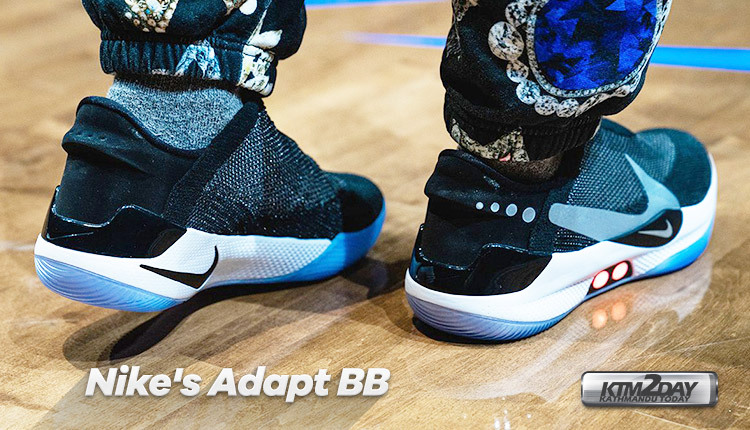 A two-inch motor encased in the middle of the shoe sole winds the laces at the touch of one of two lights on the side of the Adapt BB — one to tighten and one to loosen the laces. 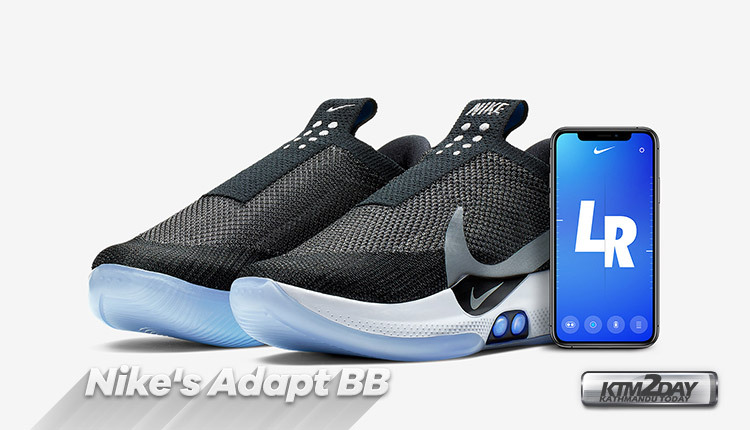 But Nike wants users to download a new smartphone app that connects to the shoe via Bluetooth, which will allow them to save preferences for tightness and change the color of the lights on-demand. The functioning of the shoe is apparently very simple, in fact inside the shoe there is a system of gears that detect the necessary tension and adjust to keep the foot perfectly adherent. For this purpose the system is able to pull 32 pounds of force (about like a normal parachute cord), while to give the last touch of adaptability comes the Nike Adapt app, downloadable on the smartphone . Each player can insert his own personalized setting according to the moments in which he uses the shoe: he can hold it tight if he is about to enter the pitch for a game, loosen it slightly for a shootaround, or untie it permanently in case of rest or break game. With the passage of time Nike will release firmware updates able to give more and more settings and the possibility to customize the lacing. Nike chose basketball as the first sport-specific application for the self-lacing technology because of the demands the sport places on the foot. The company expects to introduce versions of the shoe for additional sports and a lifestyle version later this year.